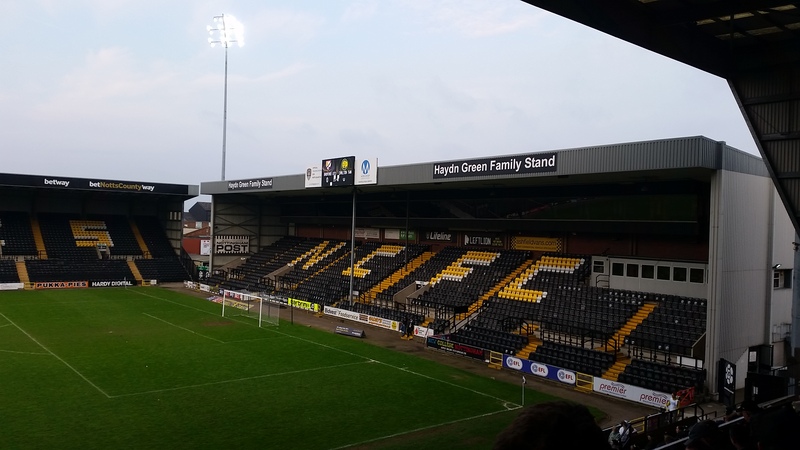 Last night, I visited another of the 92 when I visited Notts County’s Meadow Lane. 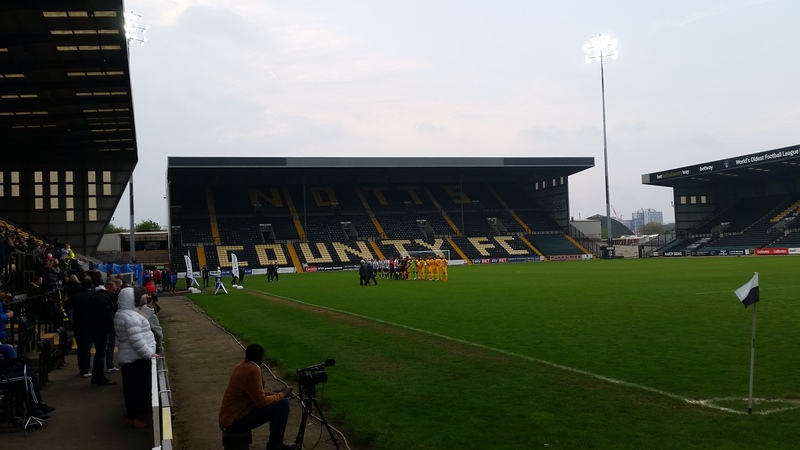 The ground was hosting the Nottinghamshire Saturday Cup Final between these 2 evo stick sides. 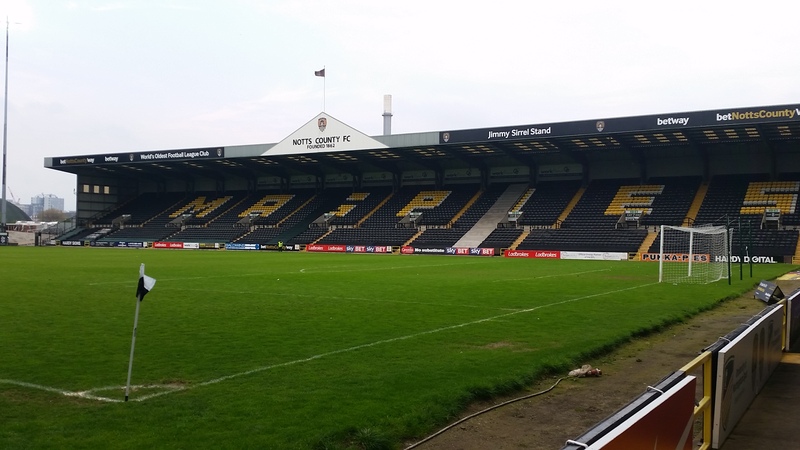 The ground is quite impressive really, the step’s are very steep on the main stand though so something to watch out for. Before the game we had a quick drink in the Trent Navigation pub around the corner before heading to the ground. Directly outside the ground you can see Nottingham Forests City Ground that is just yards away over the River Trent. Admission was £5 that included a programme. 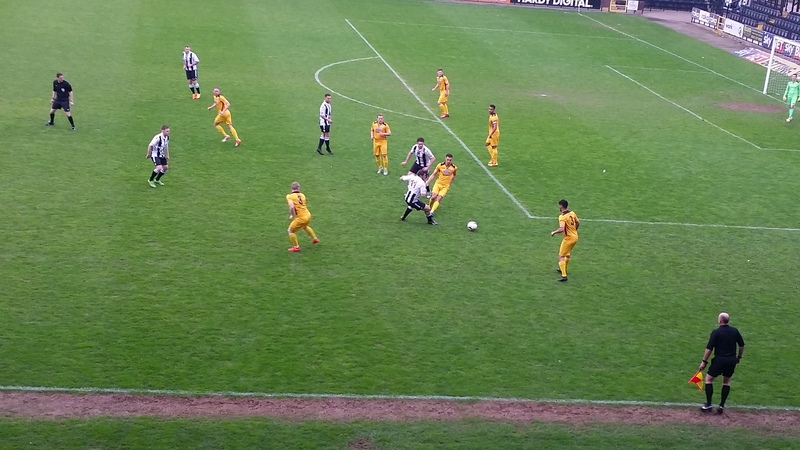 Carlton in the black and white bossed the game though, and took the lead on 15 minutes, Hooton shaking off a challenge before firing past Saul Deeney. 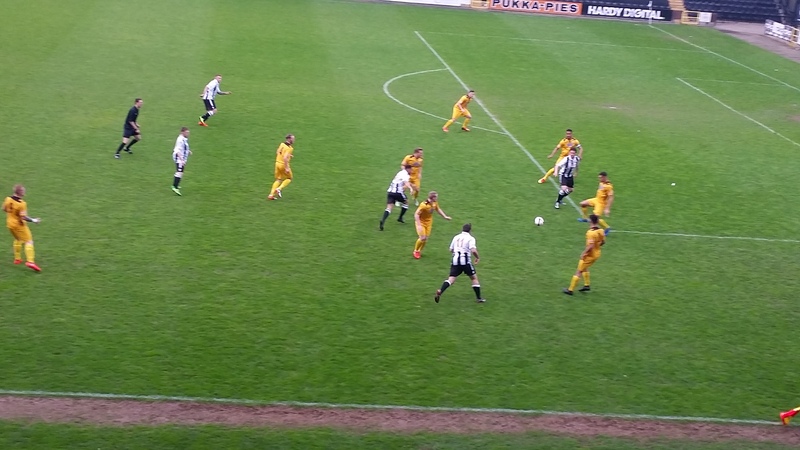 As ford equalised from the spot though, Hutchinson made no mistake. Carlton made it 2 1 when Elliot fired into the roof of the net from an angle just before half time. Blair made it 3 1 on 74 minutes curling the ball into the far corner. The final goal four minutes from the end a mix up at the back allowed Hooton to nip in for his goal for a convincing win.